Enthusiastic and intellectually curious, Lindsey Perez offers clients an energetic approach to real estate that's rooted in hard work, careful study and elite customer service. A New York City native, Lindsey has had a passion for real estate and development for as long as she can remember, and today, that fondness is fueled by her avid consumption of industry market data, trend reports and statistics. She thrives on staying on top of real estate news on both a national and local level, and generously shares this broad base of knowledge with clients in the form of sound advice and customized marketing packages. Lindsey's business background has also given her an insider's understanding of the modern inner workings of New York City real estate. Prior to Real NY, she worked on the digital marketing team of a co-working space where she deftly handled the needs of startups and professionals. Before that, she spent several years in property management for a luxury Midtown condominium, where she honed her extensive knowledge of renting and buying property. 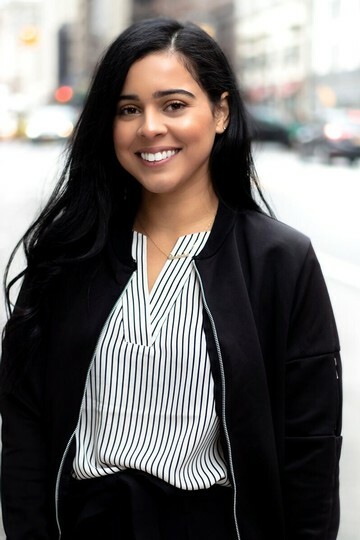 Fluent in Spanish and known for being an unwavering champion for her clients, Lindsey is just the type of personable and driven ally you want by your side in the challenging world of New York City real estate. Born and raised in Coney Island, today Lindsey resides in Red Hook where she loves the neighborhood's fantastic blend of old and new — from cobblestone streets and waterfront parks, to the emerging shopping and dining scene. April 2019 by Raven C.
Lindsey was so helpful long before we were even a potential client, just offering advice and encouragement and expertise out of the kindness of her heart. It was really nice to be listened to and then shown places that fit everything we needed- even the school district we wanted! She was literally available and responsive 24/7, via text, email, and phone calls, to guide us through each step and make sure we secured the place we wanted. We truly cannot thank her enough for guiding us through each step of this process. I cannot wait to recommend Lindsey to any and every person I know that needs an apartment. March 2019 by Carlos M.
HUGE shoutout to Lindsey Perez and Etan Zango. Trustworthy people, trustworthy company. My girlfriend and I were looking for an apartment and after having very bad experiences with other realtors, we came across REAL through StreetEasy. Would recommend to anyone whose looking for an apartment without the B.S. and hassle that usually comes with other companies.